We published a book about architectural theory last year (December, 2014). The book was written only in Japanese, but we hope to translate it into English in the near future. 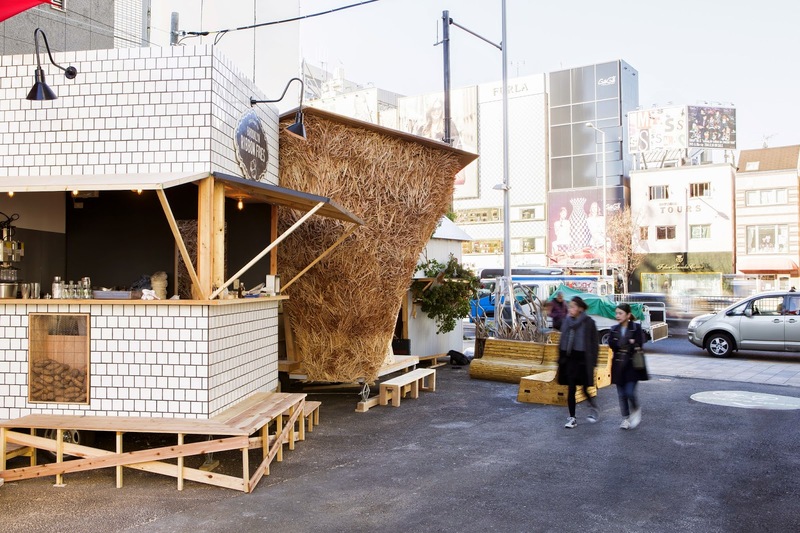 Topic: In the present global society, what is possible in architecture? 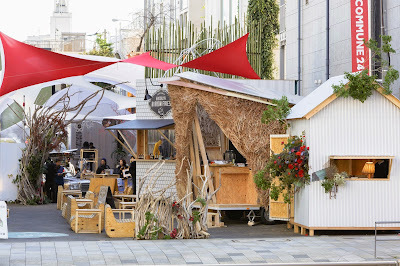 How should we share the discussion of architecture? 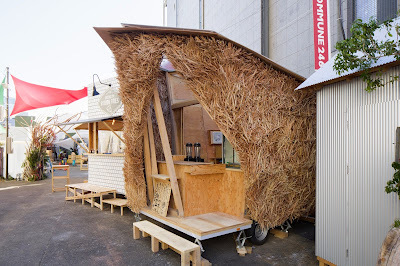 Preface, Yusuke Obuchi: Is Architectural Theory Necessary Now? Essay, Manabu Chiba: What Can We Learn in Architecture? 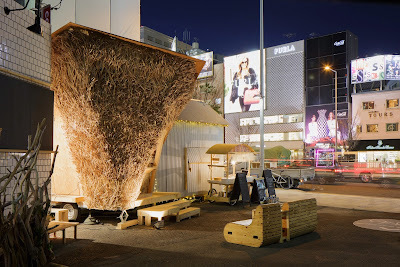 Essay, Kazuhiro Kojima: Things Learned from Hiroshi Hara. Interview, Reiser+Umemoto: What Sustains the Culture of Architecture? Interview, Sylvia Lavin: How Does a Multi-platform Approach Serve Architects? Photos of our recently completed food cart project at Commune 246 in Aoyama, Tokyo. 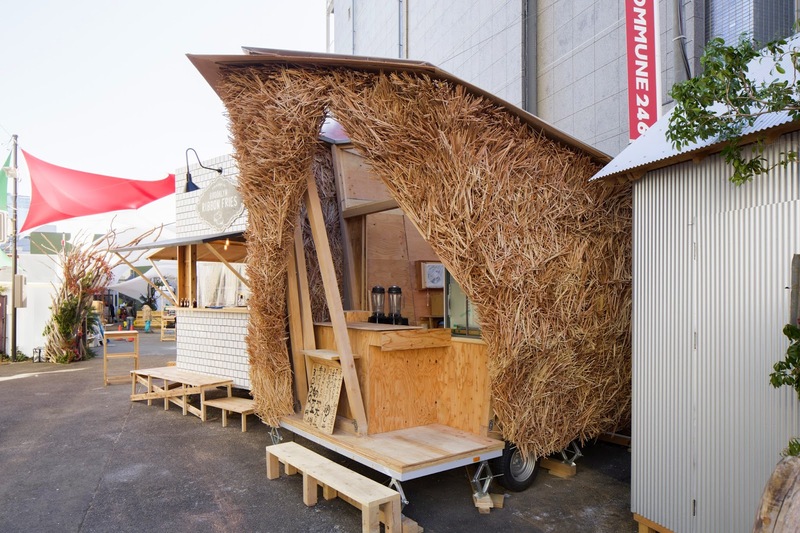 Our cart accommodates a shop which sells organic soy bean products ranging from the Japanese traditional natto to soy milk smoothies. 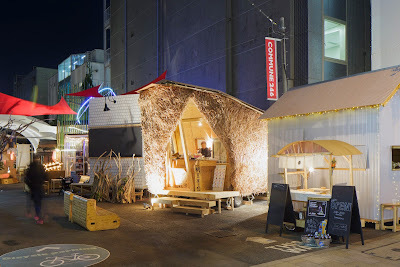 You can find more info about Commune 246 in the following links. 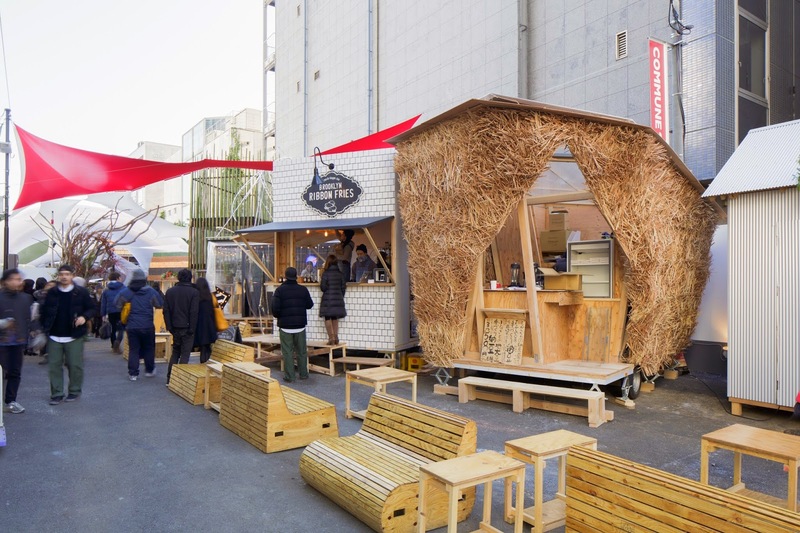 As part of the event "Yokohama Redux: The Saga of Continuous Architecture" on March 17 at Hongo Campus, following a series of theory seminars, students at the University of Tokyo presented their research and manifestos. The event consisted of mid-term presentations by design studios at Princeton, U-Penn, Columbia, and Nagoya Institute of Technology, and was joined by a seminar group from the University of Tokyo. The topic of the studios and the seminars was a revisiting of the Yokohama International Ferry Terminal Competition. This year marks its 20th anniversary. 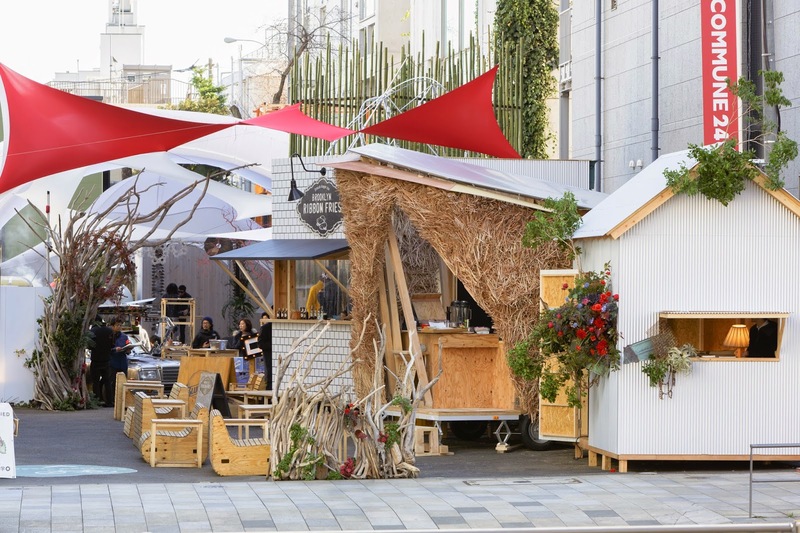 The event aims to examine and develop the concept of continuous architecture, which was the basis of the winning proposal for the architecture by FOA. There was a full house for the event and it was followed by lively science-fair format discussions. Please join us for this event next year. 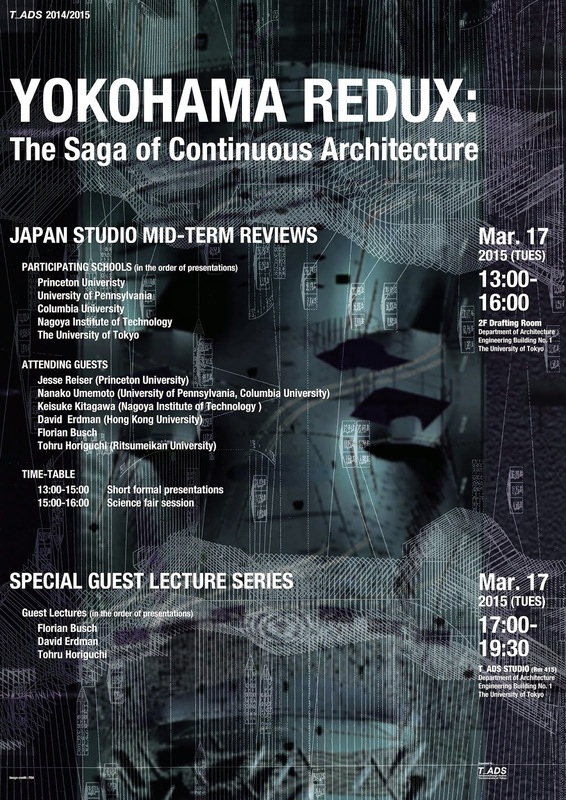 We are hosting an event "Yokohama Redux: The Saga of Continuous Architecture" on March17th at The University of Tokyo. 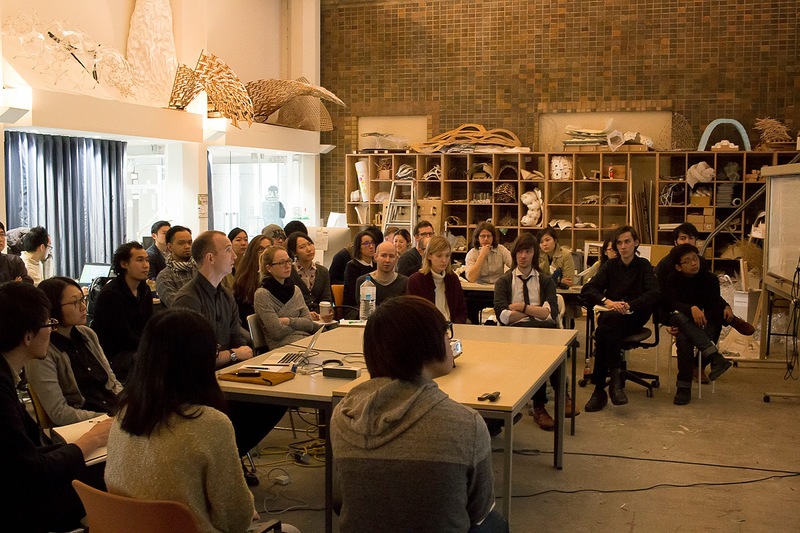 After the mid-term review of design studios, we will have a marathon lecture series by Florian Busch, David Erdman and Tohru Horiguchi who will talk about issues on the concept of single surface/continuous architecture. We are hosting an event "Yokohama Redux: The Saga of Continuous Architecture" on March 17th at The University of Tokyo. 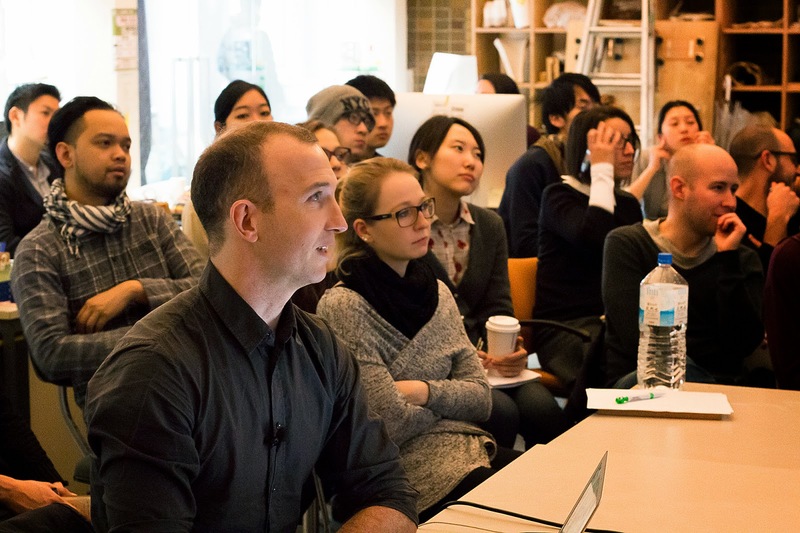 The event consists of mid-term review of design studios at Princeton, U-Penn and Columbia taught by Jesse Reiser and Nanako Umemoto, joined by a design studio from Nagoya Institute of Technology and a research seminar from the University of Tokyo. The topic of the studios and the seminar is to revisit Yokohama International Ferry Terminal Competition which marks 15 years anniversary this year and examine and develop the concept of Continuous architecture which was a base of winning proposal by FOA. 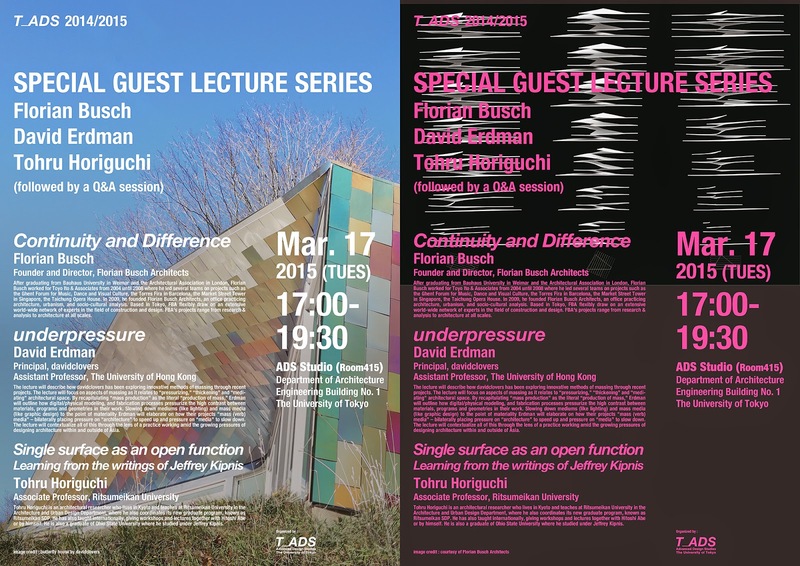 We are also organizing a marathon lecture series by Florian Busch, David Erdman and Tohru Horiguchi who will talk about issues on the concept of single surface/continuous architecture. On March 16th, 1st year students had their presentations joined with David Erdman of the University of Hong Kong and Jun Sato, structural engineer after 2nd year Mid-term thesis presentation. Thank you David for your intensive involvement with our studios for such an all day long reviews! 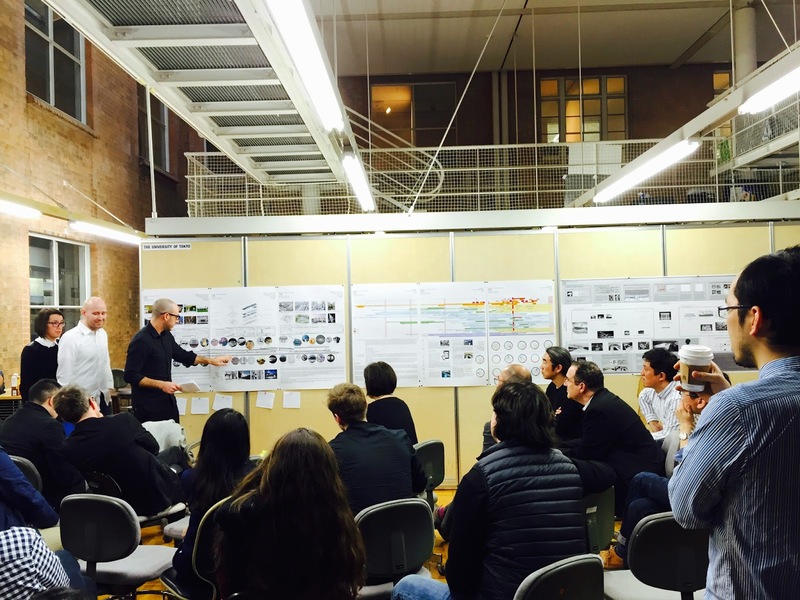 On March 16th, four design teams of 2nd year students had their Mid-term thesis presentations! Each team was given 15 minutes to present core scenario of their projects using both 3 minutes video and slide format presentation. The presentations were followed by a 20-minutes of discussion. As reviewers, David Erdman of the University of Hong Kong, Yutaro Muraji of Keio University, Gabriel Cira who currently works in Arata Isozaki's office and Kae Miyazawa from Department of Global Agricultural Sciences at the University of Tokyo joined us for these presentations. On March 9th, 2015, we were very fortunate to have Thomas Weaver, from AA School of Architecture, join us for a whole series of events. Thomas Weaver teaches at the AA School of Architecture in London, where he also edits all of the AA's books and journals, including the award-winning title, AA Files. The day's finale was a lecture by him titled, "ALPHABET." Brief: This talk will be structured around an alphabet of 26 key images, from A through to Z, Albers through to Zebra, that have appeared over the last eight years through the pages of the architectural journal AA Files. Each image will be presented not only through its immediate place within the journal, but through its pictorial, anecdotal, historiographic and iconographic architectural associations. The effect, hopefully, will be of a varied and eclectic architecture in 26 parts, yet one that still somehow suggests the singularity of a unified, whole project. Many students attended the lecture and it was followed by a lively round of Q&A. Good times were had by all. Please join us next time. On March 9th, Thomas Weaver of AA School joined us for the 2nd year studio presentations. 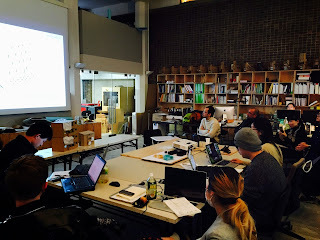 On March 9th, Thomas Weaver of AA School joined us for the 1st year studio presentations. 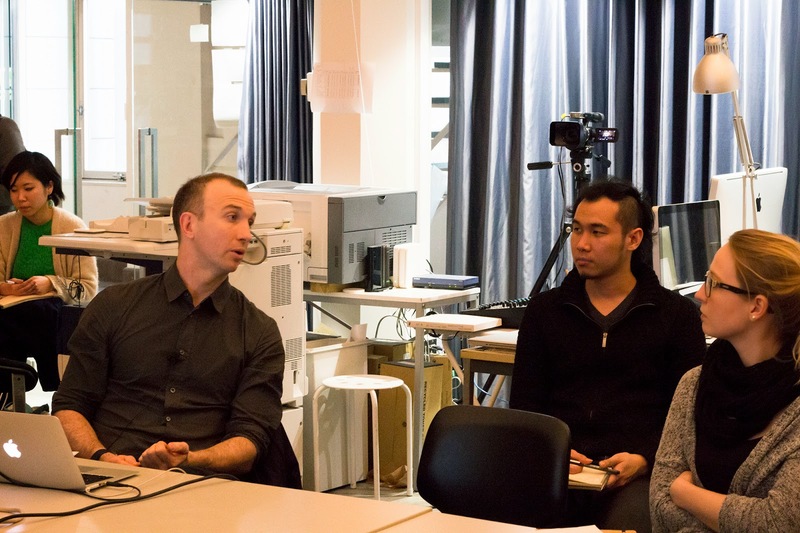 We were very fortunate to have Thomas Weaver join us as a guest critic for presentations by the 1st Year Studio dealing with the design for Digital Fabrication Laboratory Pavilion 2015. Thomas offered very fresh and constructive critique from the stand point of history and theory. This was followed by a lively, engaging discussion and a lecture by Thomas Weaver titled, "ALPHABET." Thomas Weaver teaches at the AA School of Architecture in London, where he also edits all of the AA's books and journals, including the award-winning title, AA Files. Sato sensei gave the kick-off structural engineering lecture for the first year students. We are planning various material tests (e.g. bending, compression, and buckling). Each project has its own design and material property thus it is important to listen the expert to decide which test is suitable.